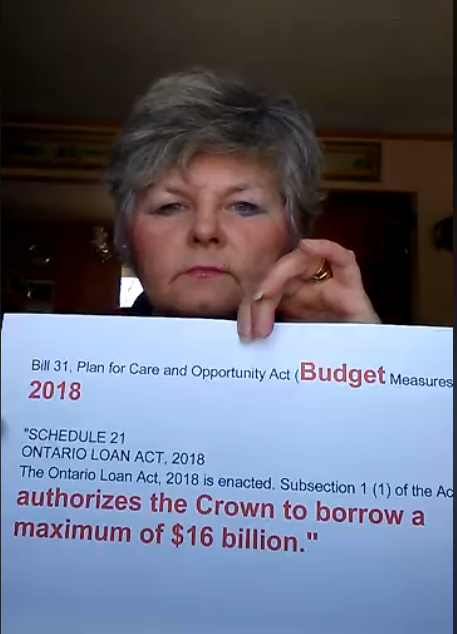 Another Liberal Slight of Hand to deceive the citizens of Ontario – Kathleen has slipped an Act into the Omnibus Budget that allows her to borrow up to $16 BILLION! Is this an outright (although hidden from us) agenda that she has no intention of sticking to the $6.8 Billion deficit she originally promised?? The “Budget Bill” also amends 32 pieces of legislations, and/or creates Acts that have absolutely NOTHING to do with the Budget!! PLEASE SHARE…WE REALLY NEED PEOPLE TO KNOW THIS!!! Hey and you thought she was only going to be running a $6.8 Billion dollar deficit…so why is this in the Budget?? ?